Exotic Elegance features a distinctive variety of wood species from exotic locales, with beautiful color variances and striking grain patterns The richness of these woods is matched by their durability. The thick, solid lumber precision milling and superior aluminum oxide finish will beautify your home for generations. Seeing and feeling is believing! 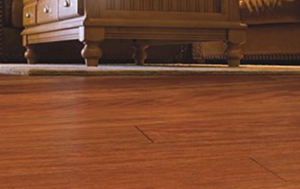 We carry all Elegance Hardwood Floor samples. Visit our Showroom!